Our range of products include solid bar sawing machine. We are an expert manufacturer of High Speed Solid Bar Sawing Machine that are praised by our clients for high efficacy and long life span. Our manufacturing department always prefers the finest quality inputs to develop these highly productive bar sawing machines. 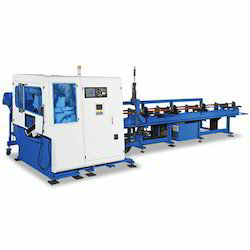 Looking for Solid Bar Sawing Machine ?